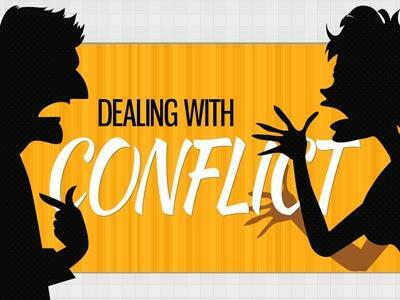 Summary: Conflict never to be avoid, but to be solved! Again, Jesus not just a Wonderful Comforter, but He also a Confronter. That’s not because He hates us, but because He loves us. Bare in your mind, that Jesus never is the cause or source of a confrontation. What inside us is the source of conflict in our own lives, that’s why He needs to confront us, to make us realize that we must change. Change to be just like Jesus! Now, we will see how we can solve a conflict. I never say this shall be easy, or this will solve every conflict in your live. What am I going to give to you, just principles to solve conflict in our lives, and not the methods. You must find your own methods and your own ways, OK? I think the best example of communication in conflict is in the bible, the story about Nathan and David. 1) Thumb – wisdom – from God (Jam. 1:5) – the big one, power to grasp. Without wisdom, you can’t make people listen to you. Thumb has a space between four other fingers. 2) Point-finger – perceive – from yourself – to point the right one. You must develop a perceiving experience in your communication skill. 3) Middle finger – communication manner – from yourself - the longest reach. You can reach how many listeners depend by your communication manner. We will discuss this later. 4) Wedding finger – motive – from yourself – people love good motives; they want to be tied with a goodwill person. 5) Little finger – openness – from yourself – last but not least, openness is the completeness in your communication skill. Without it, something is missing. Put honesty in your communication with others, and you will see the differences, and they will see it too. I want to take some time in this point. Nathan as a prophet teaches me something about communication manner. What he did just tell David about a story. Everyone likes to hear story! That not just an ordinary story, it was a role-play. He brought David to be involved in that story. I believe David as a small shepherd, felt he as the poor man in that story, until Nathan made David realized he was at the wrong side of that story. - Nathan never condemned David, but he condemned himself. Bring people to enlighten of something, make them realize something by themselves! Don’t teach people if they don’t ask it. Because teaching makes you as the teacher in the higher position then the people you teach; if they are not willing to be teach, you must avoid to lectures someone. Some people don’t want to be teach, because they feel you making yourself smarter then them. Put yourself in the same position with the people you talk to. 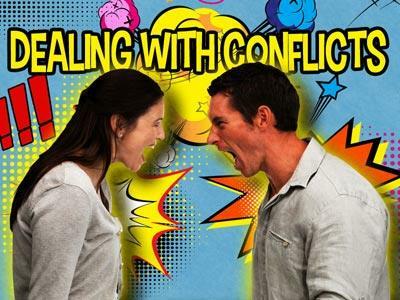 Conflict never to be avoid, but to be solved!